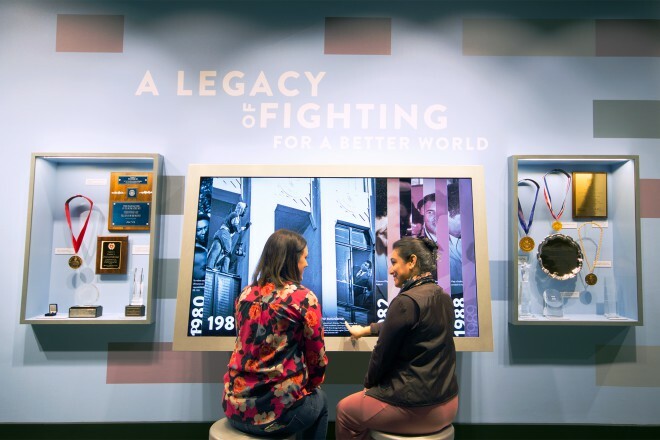 Share what you’re fighting for. West Office had the remarkable opportunity to design a gallery about Muhammad Ali’s humanitarian legacy during the time of the great fighter’s death. 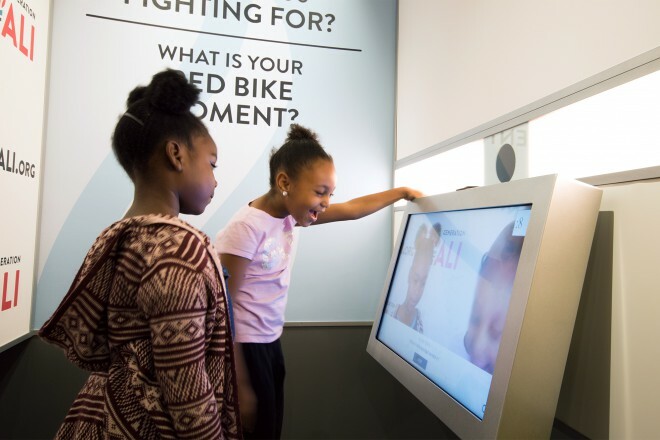 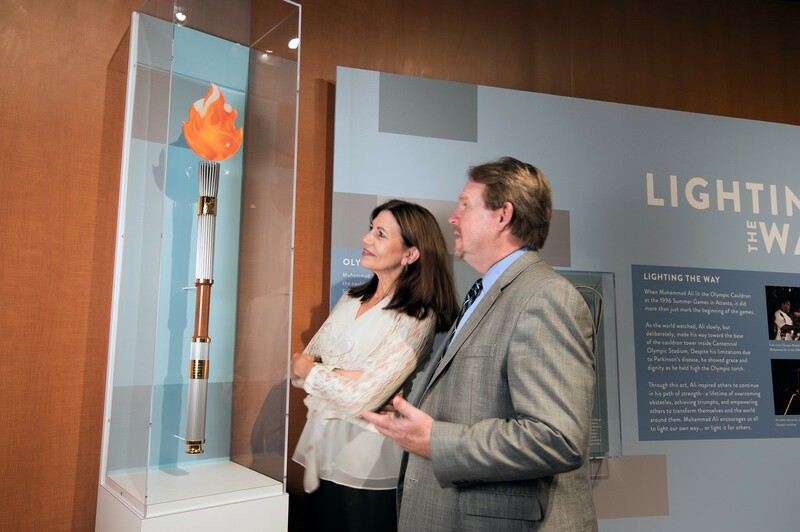 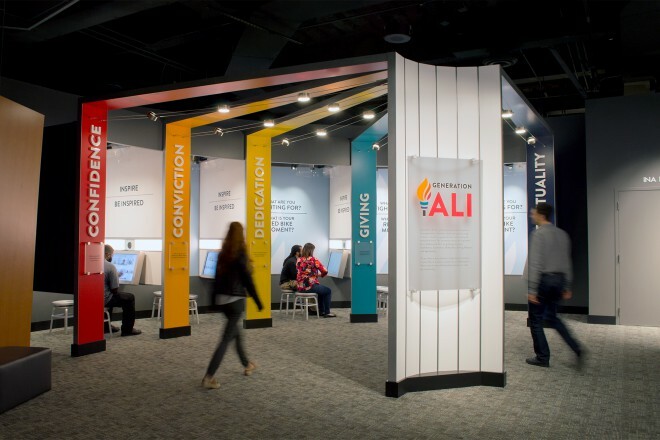 The exhibits in this gallery are part of the museum’s Generation Ali initiative, which explores Ali’s humanitarian achievements and asks visitors to share the issues that motivate them to fight for change. 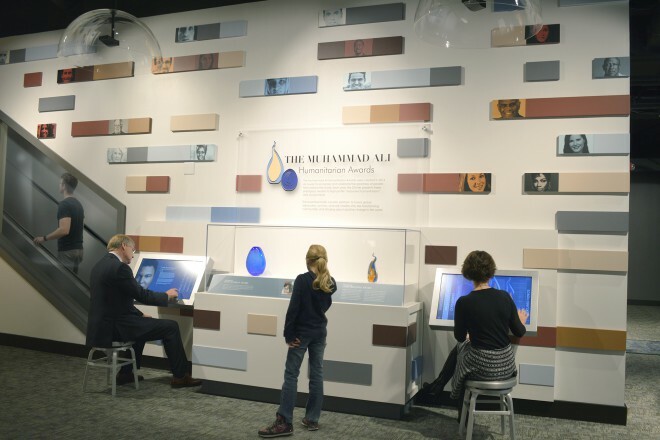 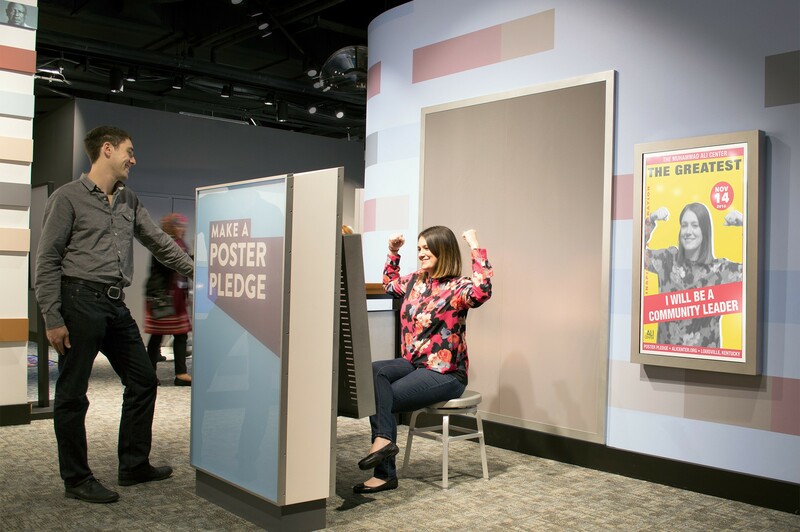 Visitors can leave an impact in the gallery through story station kiosks and an interactive poster pledge exhibit. 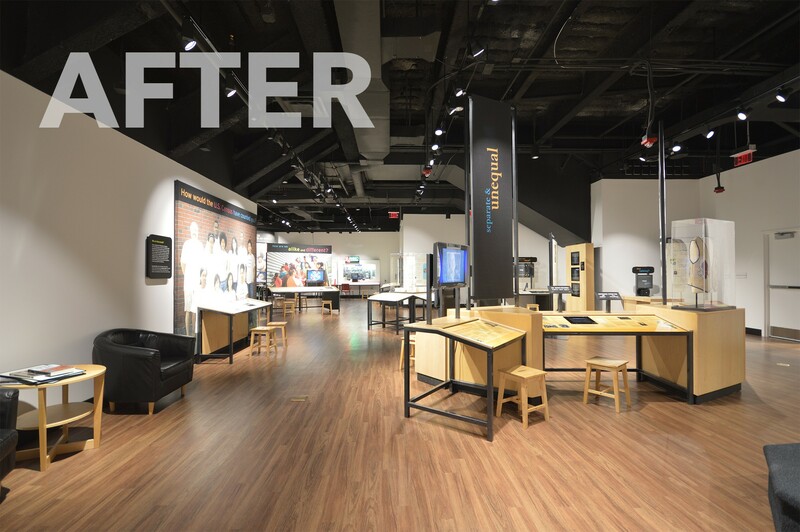 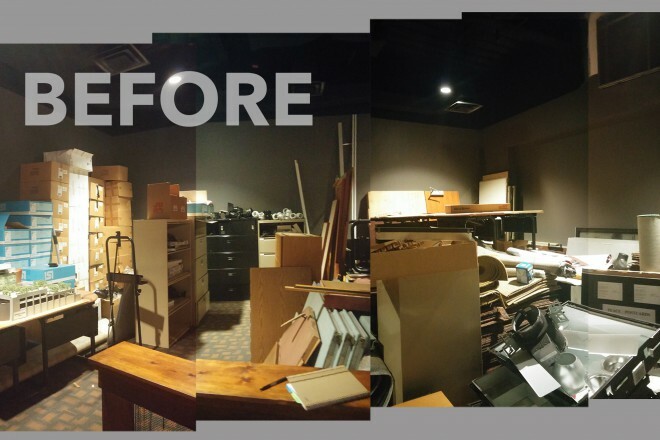 West Office also worked with the museum to develop a 2,500 sq. ft. temporary gallery to host traveling exhibitions.